For years, FLDRN has collected patches you have made, in honor of your loved ones. 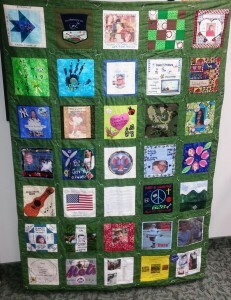 You are welcome to display our four beautiful quilts at events. Our family donor quilter, Barbara Bennett, has put the squares together into four beautiful FLDRN quilts. We would like very much to make them available to you for any family gathering that you may have. 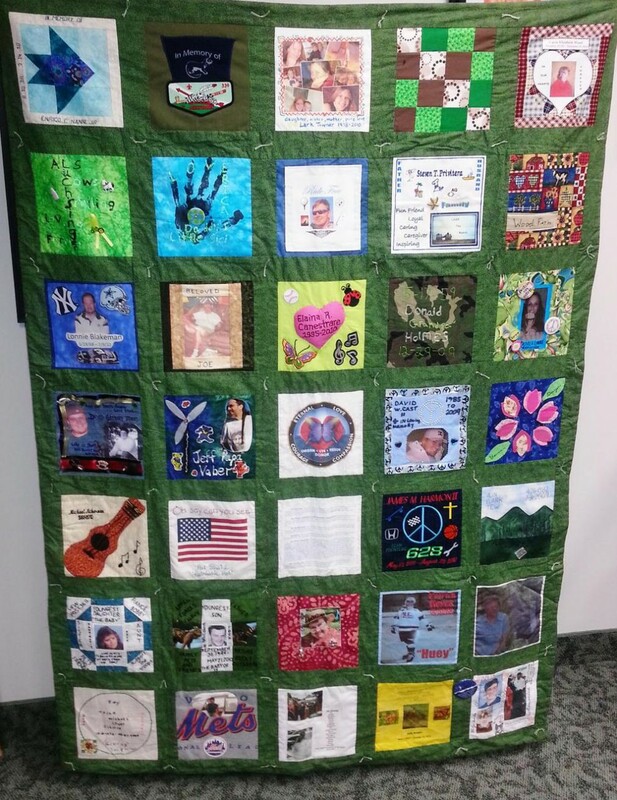 We have cataloged who is on each quilt, so we can get you the quilt with your loved one’s patch on it. There is a calendar that you can book your date to ensure that you have the quilt for the day you need it. CONTACT INFORMATION: Please call Roxanne Morsch, Office Manager, at 585-272-4934.